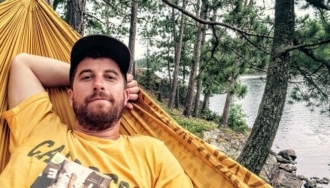 Patagonia has supported the work of Northeastern Minnesotans for Wilderness and the Campaign to Save the Boundary Waters through grant funding, our employee environmental internship program, retail store events, product donations and an invitation to attend the 2015 Tools for Grassroots Activists Conference. You can read our past coverage on The Cleanest Line here and here. To learn more about how you can get involved, visit savetheboundarywaters.org. Growing up in Minnesota, I took the lakes for granted. To me, living in the “Land of 10,000 Lakes” meant summers at the cabin—waterskiing, fishing and family time on the dock. The lakes I knew were surrounded by houses and roads, and I remember falling asleep most nights to the gentle but persistent hum of motorboats wafting across the glassy water. (Almost as persistent as the hungry mosquitos buzzing around my ears at bedtime.) Even through the noise, I slept peacefully in the cool Northern Minnesota breeze. Wilderness is the land that was wild land beyond the frontier … land that shaped the growth of the Nation and the character of its people. 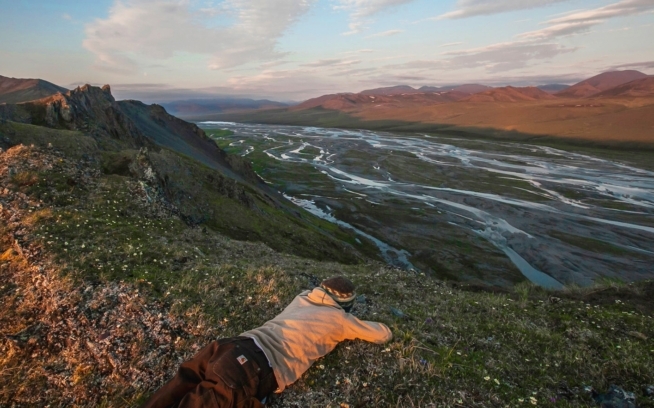 Wilderness is the land that is rare, wild places where one can retreat from civilization, reconnect with the Earth, and find healing, meaning and significance. It wasn’t until my family’s first trip to the Boundary Waters Canoe Area Wilderness, when I was in grade school, that my notion of Minnesota’s abundant lakes suddenly shifted. There were no docks, no jet skis, no golf courses—things I once considered requirements for a great Minnesota summer. Lowering a canoe into the pristine, interwoven system of lakes and rivers that make up the Boundary Waters brought a loud epiphany that was drowned out only by the sheer silence of the place. I imagined the surrounding landscape teeming with grey wolves, black bears, otters, beavers, whitetail deer, moose, eagles, ravens, lynx and loons—my favorite. I fell in love immediately and paddled off into the wild carrying a new appreciation for the fresh, clean waters that make Minnesota so special. That first night, I’ve never slept better—and in the following years I came back to the Boundary Waters many times. After exiting the wilderness, I enjoyed an afternoon beer in Ely, at the Boundary Waters’ southern edge. Looking around, I took in the scene: outfitters teeming with people, a couple restaurants with packed tables, a busy street featuring a diverse array of open storefronts, and lawn signs supporting a grassroots campaign to protect the wilderness. People young and old walked swiftly around town, excited to be living full lives in the most modern of historic towns—one that has transformed itself from busted mining town to a bustling, sustainable economy over the past 30 years. It’s an economy built on the Boundary Waters. While mining helped make Minnesota great in past generations, the Ely of today perfectly encapsulates the Minnesota I love. This is the North—we embrace our cold, snowy winters as integral to our identity. It’s a state full of well-rounded, resourceful people adept at dreaming up and implementing the biggest new ideas while sitting in a modern office—or hunkered down in a warm, remote cabin. It’s a state that draws talented people from all over the world with a high quality of life, great infrastructure, outstanding schools and a supportive environment for businesses of all kinds. And it’s a state that values the great outdoors. Here, lakes are loved by hunters and anglers, executives and blue collar workers, urban and rural families, liberals and conservatives, and everyone else. It’s what binds us together. A blow to the Boundary Waters would not only wound the water and wildlife that make it special, it would hurt the spirit of the North itself, and Minnesota’s social and economic spirit would suffer tremendously. Losing the Boundary Waters wouldn’t just cost us a world-class wilderness, it could cost us 18,000 jobs and $850 million in regional economic activity driven by tourism. The Boundary Waters is America’s number one most-visited wilderness, bringing more than 250,000 visitors from all over the world to Northern Minnesota every year. This special place is a source of pride for every generation of Minnesotan and a source of inspiration for wilderness-lovers everywhere else. Mining has a place in our economy. We all consume products derived from sulfide-ore mining, and I feel deeply for the people of Minnesota’s Iron Range suffering from the devastating loss of mining jobs in recent decades, causing economic collapse. But mining has never been a stable basis for long-term community prosperity. More importantly, the Boundary Waters is not on the Iron Range. And the edge of a pristine, water-intensive wilderness is not the right place for industrial mining pits. The history of sulfide-ore mining in the United States is a story of contamination of groundwater, surface waters and land. Like a drop of food coloring spreading fast in a bucket of water, even the slightest pollution runs the chance of damaging the entire wilderness—a risk Minnesota and its economy can’t afford. Thankfully, in the past few weeks, we’ve seen some extraordinary developments in the effort to protect the Boundary Waters. First, Minnesota Gov. Mark Dayton expressed his strong opposition to proposed sulfide-ore mining by Twin Metals Minnesota, a subsidiary of the Chilean mining giant Antofagasta. I was proud and thankful to see the Governor take a strong stand in favor of protecting a place he called Minnesota’s “crown jewel”—one that plays such an important role in his state’s identity. He’s not alone: a new poll was released just after his announcement showing that a vast majority of Minnesotans from throughout the state and across the political spectrum oppose sulfide-ore mining in the Boundary Waters watershed. The next day, the U.S. Bureau of Land Management—which holds the expired mining leases being considered for renewal—announced they have the legal authority to deny the leases pending the results of a public environmental analysis, which will use the best science available to determine if the Boundary Waters watershed is the right place for mining. It’s heartening to know the Obama administration is committed to a rigorous study of the merits and risks presented by proposed mining. Following the proper process is important, and the mining leases have never before been subjected to environmental analysis. These are important steps forward, but there is a lot more work to do. The Campaign to Save the Boundary Waters is leading a major effort to bring together a broad and diverse coalition—including businesses, sportsmen, environmentalists, veterans and more—of individuals and groups in favor of keeping the wilderness pristine for our children to enjoy and so our economy can continue to thrive. 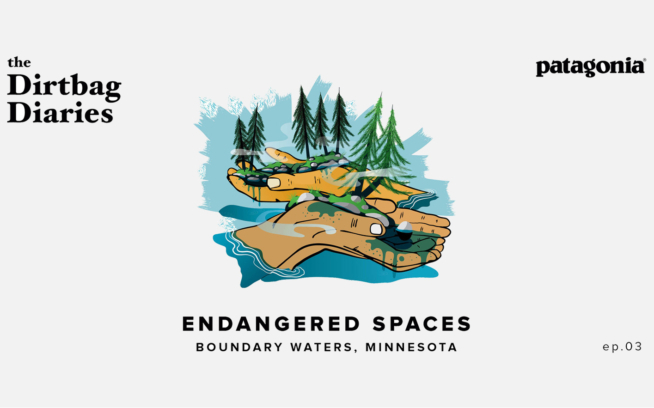 Please consider joining the campaign by visiting their website and signing your name to the list of thousands of people from across Minnesota and around the world who love the Boundary Waters. When the time comes to advocate for protection as the government reviews the leases, the campaign will need your voice. And now more than ever, the vast community of people from across the United States who have visited the Boundary Waters need to make their voices heard as well. The Boundary Waters is a unique national treasure unlike anything else in the world. It should be counted among other untouchable places that hold the power to change lives in a single night spent under the stars—and it should be protected. If you are concerned about protecting fresh water and want to stop sulfide-ore mining on the edge of the Boundary Waters Canoe Area Wilderness, please add your name to the Campaign to Save the Boundary Waters petition. I listed many positive traits shared by Minnesotans above. But perhaps more than anything else, Minnesota is a state that looks forward, not back—where Ely and many other communities throughout the state provide the vision of a new economic model that can sustain us for the future. The Boundary Waters plays a huge role in making the North everything we’re proud of—a place for prosperity, family, balance and a world-class culture rooted deeply in the outdoors. Don’t take the lakes for granted. Without the Boundary Waters, we’re just flyover country. 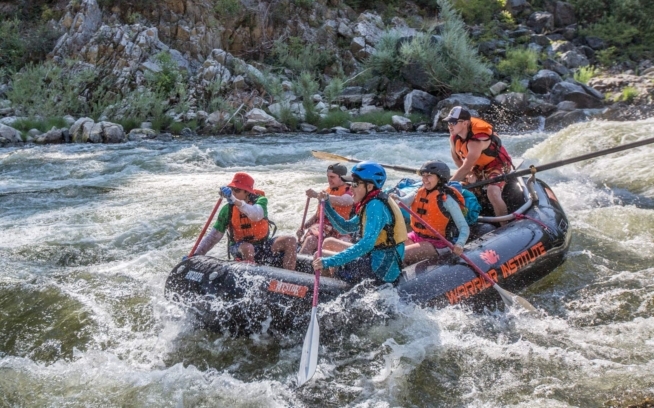 Adam Fetcher is a Board Member of the Boundary Waters Trust, an adviser and speechwriter for Patagonia and an independent communications consultant. He lives in Minneapolis.